You can always take a break from your Christmas shopping, sit down and have a proper lunch. In Llangollen, you will be impressed by the new menu at Gales of Llangollen, and the food and the views at both the Cornmill and at the Chainbridge Hotel. You can even book your Christmas dinner or party with them. If you decide to visit the UNESCO World Heritage site at Pontcysyllte Aqueduct, there is Pontcysyllte Chapel Tearoom that offers you a festive menu for lunch, starting 19th December. Expect leek and potato soup, turkey roast and Christmas pudding, but there is so much more on the menu. Check details here. 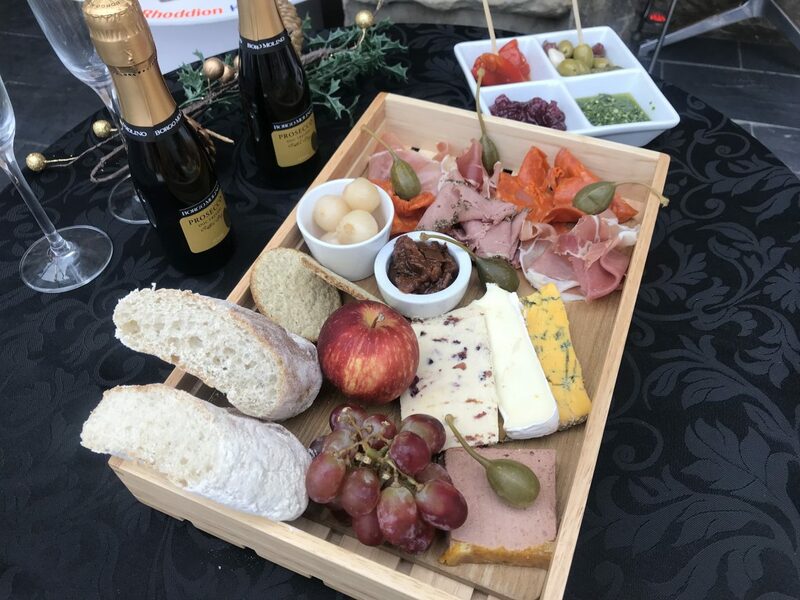 If your shopping takes you to Wrexham, the Courtyard Café at the Wrexham Museum offers a sharing Christmas platter for two, including two small bottles of Prosecco. Available from 22nd November – 22nd December. Check the menu here. The Orangery Restaurant at Derwen College will be serving Christmas lunch menus and Christmas afternoon teas from 25th November to 20th December. The Garden Café will also serve a festive lunch, with warm turkey, stuffing and cranberry baps, pigs in blankets, followed Christmas cake or mince pies. Full menus and program of events here.